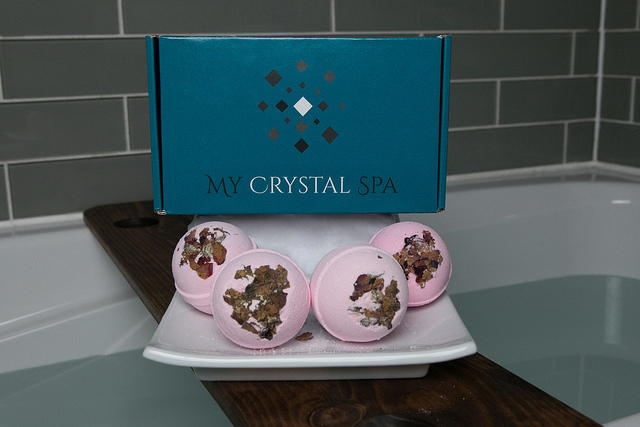 Each month you'll receive 2 Crystal Bombs™ - the newest bath bomb on the market! - each containing a crystal which follows the month's theme. We'll provide information about the spiritual and healing properties of the crystal. 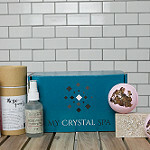 In addition, you'll receive 4 additional products to enhance your spa experience. These products may include items such as bath and body products and accessories as well as candles, incense and more. Free Shipping in the US and $10 to Canada! Crystal Bombs™ ! You will receive 4 Crystal Bombs™ - the newest bath bomb on the market! - each containing a crystal which follows the month's theme. We'll provide information about the spiritual and healing properties of the crystal. Enough to relax and recharge every week! Free Shipping in the US and $10 to Canada!